While traveling in New Mexico in 1991, I became intrigued by the story of the Navajo-Churro, an endangered species, which had been reduced to a population of less than 600 in the early 1970s. I returned to Vermont with six Churro sheep in the back of a pick-up truck. Now my goal is to encourage the growth of this elegant and spirited breed within New England by informing, educating, and selling breeding stock to any interested parties. 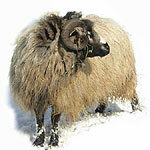 I am an active member of the Navajo-Churro Sheep Association. 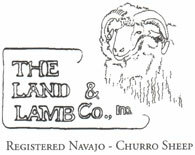 Our mission at Land & Lamb is to nurture Navajo-Churro sheep, to promote their survival and continuance as one of the oldest and hardiest breeds in North America. The Land & Lamb Co., Inc.